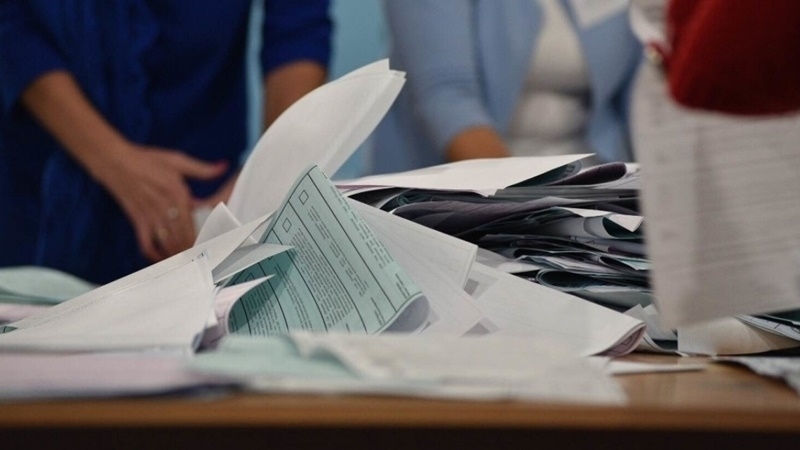 A resident of the occupied Crimea intends to file a lawsuit over compulsion by the Principal of the school in which she works to go to the illegal presidential election in the Russian Federation, which was held on the peninsula. A resident of Krasnoperekopsky district works in the Pochetnensky teaching and educational complex. According to her, the pressure on the school employees began three days before the election - on March 15. On this day, the board gathered the stuff to a meeting, where demanded them and their relatives go to the polls, and then report to the Principal on the phone. "If you do not come to polling stations on March 18, you do not have a place in our institution," the Crimean citing the words of the board. On March 18, the woman began to receive personal threats. “At about 12:50, the head teacher on educational work called my mother with requests to go and fulfill her civic duty - to vote, since the head teacher then has to report back to the principal on the list about who went to the elections and who did not. Expressing her position as a refusal to go anywhere, my mother replied that she would not go and she would personally tell the school principal if she called," the daughter of the Crimean woman told the human rights activists from the Crimean Human Rights Group. The girl also provided a recording of the conversation with the school board. "Principal: You work in our school. Do you get paid? You enjoy all the benefits, you live in Russia, so you have to come to vote. They will ask me, and I will ask you. You work in our school, so look, I must now give an answer. Teacher: I'm telling you again, you can write that I will not go to the polls. Principal: I repeat, you work in our school. Do you understand this? Principal: Do you want to lose job? Teacher: Why should I lose my job? Based on what? Principal: Because you have to show your civil position. You live in a country called Russia. Teacher: And I am showing my civil position. This is my personal choice. Principal: Well, then we will act differently with you. Goodbye". Later it was revealed that the woman who was forced by the directorate to go to the polls had heart problems and after the telephone conversation she had to call an ambulance. The day after the election, the situation, according to the Crimean woman, became even worse. “The principal, taking advantage of her mother’s absence at the workplace (she was hospitalized after a micro-stroke, was discharged home on ambulatory treatment on Wednesday) collected all the journals, programs, notebooks of all classes for examination, trying to find a clue for dismissal,” the teacher's daughter informed. To date, the teacher is going to sue the invaders, because even under Russian law, the threat of dismissal for failing to appear in elections is illegal. Earlier QHA reported that the Crimeans were being driven to the elections by threats of dismissal from their jobs.